LAFFORT invests significant resources in Research and Development in its subdivision BIOLAFFORT, through collaboration with different universities around the world, and additionally in its world-class laboratory, SARCO. The company has been a leader in innovation since its inception and holds numerous patents. High quality products for all modern winemaking needs, this is the Laffort committment to you. LAFFORT USA was created in 2010 to bring the experience and technical knowledge of the global LAFFORT network to North American winemakers. Created in Bordeaux in 1895, LAFFORT has played a fundamental role in the developments in Œnology that followed Louis Pasteur and his initial Œnological discoveries. 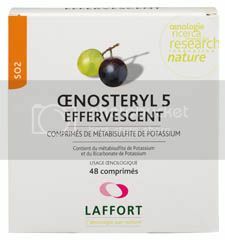 LAFFORT 's scientific developments have allowed the company to progress from a curative form of Œnology, based essentially on pure chemistry, to a preventative form, founded on biotechnologies. LAFFORT has excelled through its high level of dedication to both applied and fundamental research. Embracing the future, the company has demonstrated the pertinence of its research via renowned product performance and quality. LAFFORT research is the origin of a large number of discoveries in modern Œnology, affirmed by numerous international patent applications. This energy and total commitment to R&D underpin the company's international Œnological presence. LAFFORT is also characterised by its control over production methodologies, allowing it to implement Œnologically-specific hi-tech facilities and production know-how. These specialised production units, and the company's constant commitment to Œnology, allow winemakers to optimise and preserve the quality of their wine. True to its profession, continuing the family tradition, and thanks to its inherent innovative spirit, LAFFORT is present in over 50 countries. Its products, derived from the synergy of over a century of tradition in combination with modern biotechnology, are used throughout the world for producing quality wines with minimal environmental footprint, so as to fulfil all modern winemaking requirements. LAFFORT 's unceasing commitment to oenology is, by nature, its raison d'etre'. LAFFORT selects, produces and distributes the whole range of winemaking products: from the well-known yeasts, nutrients, bacteria, tannins, enzymes, to the whole range of fining agents and a great range of wood products, Nobile! Some of our best-selling products are VR Supra, Zymaflore FX10 and VL3, Stabivin SP, Oenosteryl Effervescent... Standards in the industry! But they also have little brothers and sisters... ask us about it! 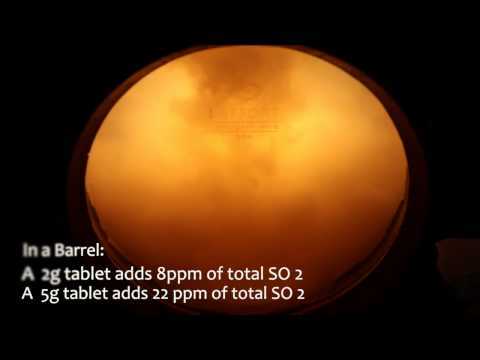 This video is a great way to see how the Laffort Oenosteryl SO2 tablets dissolve in a barrel without disturbing the lees. 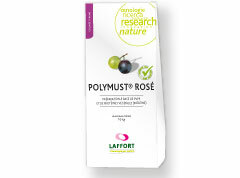 The Laffort Oenosteryl tablets are very popular because they are precise, odorless, safe and effervescent. They are a quick and efficient way to add SO2 to a barrel. The Laffort Tannins are instant dissolving for ease of use in the cellar, whether it's at the crusher, during fermentation, during ageing or just before bottling. 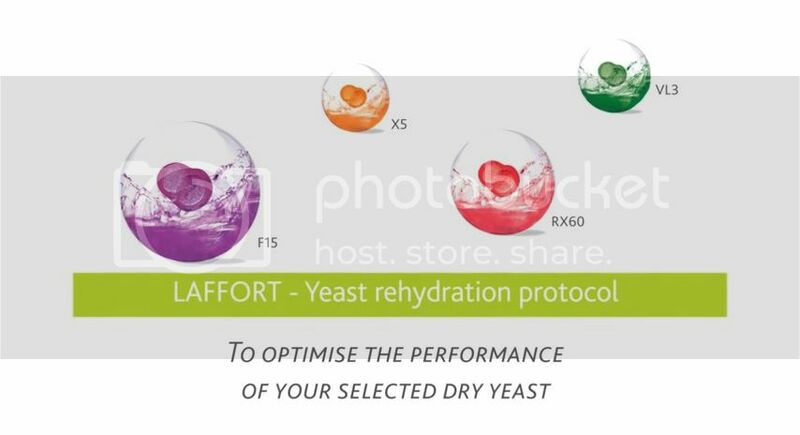 Laffort's yeast rehydration protocol to optimize the performance of your selected dry yeast. Join us for an in depth look at the role of oxygen in winemaking. We will cover general information on oxygen, and look at oxygen transfer and oxygen consumption on a chemical level in wine. We will review the tools available for wineries to measure oxygen in wine throughout the winemaking process. Bringing it all together, we will discuss controlling dissolved oxygen with micro and macro oxygenation. Arnaud Massot has a master’s degree in Vine and Wine Science (2004) with a PhD in Process Engineering from University of Bordeaux (2007). Since February 2018, Arnaud manages the Colloidal Chemistry R&D department at BIOLAFFORT. He ensures the scientific follow-up of conducted projects in collaboration with universities. He also manages, internally, the development of new products. Massot has expertise in fining and stabilization, oxygen transfer phenomena, elimination of chemical contaminants such as pesticide residues and interaction between oenological products and process engineering. Announcing Laffort USA 2019 Rendez-vous: Bio-Protection & Preventing Oxidation! Join LAFFORT® for our annual Rendez-vous, a technical seminar addressing current trends in winemaking. The 2019 Rendez-vous will address the growing trend for wines made with reduced levels of SO2. The talks will cover utilizing non-Saccharomyces yeast strains for microbial security in juice, processing techniques during juice and fermentation stages to enhance the anti-oxidant potential in wine, chitosan for microbial protection during cellar aging, and methods for monitoring oxygen in wine. LAFFORT® Rendez-vous includes lunch, please bottle of wine to share! Laffort & You Webinar Series: Making your Wines Sparkle! Please join LAFFORT® and Francois Botton, Spark Technical Manager at LAFFORT®, for an informational webinar on the key points to look at for sparkling wine tirage bottling. We will discuss yeast starter culture preparation, as well as tirage supplements for tartaric stabilization, improvement of foaming capacity, tools to accelerate yeast aging characteristics, the process of riddling and riddling adjuvants, and of course, the choice of dosage liquor. Born in the Champagne region of France, François Botton joined Laffort in 2011 as global technical manager for the LAFFORT® Spark range. Prior to LAFFORT®, François spent 10 years working for famous champagne wineries and laboratories, doing everything from winemaking, consulting, product research and development, and tirage management. In addition to the Spark range, Francois is the LAFFORT® area manager for central & eastern Europe. He resides in Slovenia where he has also created his own sparkling winery but usually he spends most of his time traveling the world where wine is produced. Start the New Year Off Right - Announcing the first webinar topics of 2019! It's a new year and it's time to brush up on some new interesting topics! We will be bringing you new topics every month featuring our representatives from LAFFORT® France and LAFFORT® USA. Please join LAFFORT® and Bastien Nazaris, Research Development and Innovations Manager at LAFFORT® headquarters in France, for an informational webinar on chitosan’s application in the wine industry. We will give a background on chitosan and how it works as an anti-microbial agent specifically with Brettanomyces, discuss the different chitosan products available today and when to use them, and we will cover how to make the chitosan addition and the longevity in the wine. Bastien Nazaris is a winemaker with his winemaking degree from the University of Enology of Bordeaux. He has worked harvests in California and New Zealand and he was the winemaker for Denis Debourdieu Domaines for four years. In 2014 Bastien joined LAFFORT® and is currently the Technical Manager for the Development and Innovation department. Jillian has a degree in Viticulture and Enology from UC Davis and has been actively working as a winemaker since 2000 in South Africa, Australia and in California’s Central Coast. Jillian is the West Coast Sales Manager for LAFFORT® USA, traveling from Washington State to Santa Barbara working with LAFFORT® customers. Don’t get stuck! Attend our webinar to learn more! There are many factors involved in keeping fermentations happy, so it is no surprise that stuck ferments require the most detective work to figure out what went wrong. While identifying the cause is good, it is not essential for taking the next steps to getting the fermentation going again. The first step is to know what your numbers are: Brix/RS, VA, Malic, Ethanol, Free/Total SO2, pH and TA. If your VA number is high, it is a good idea to request a Scorpions Yeast and Bacteria Panel at ETS. Knowing what kind of microbe is causing problems will determine whether LYSOZYME is needed or not. If your VA number is high you will need to lower the VA before beginning the yeast re-start buildup, as VA inhibits yeast activity. Monitor the malic acid content as an indicator of ML fermentation. If ML fermentation starts before alcoholic fermentation is complete, the risk of VA rising is high. 1) Detoxify your medium (rack off lees, addOENOCELL®). 2) Rehydrate with ACTIFLORE® BO213 and SUPERSTART® SPARK. 3) Acclimate the yeast culture to the stuck wine. Join Darren Michaels as we discuss the common causes and remediation of stuck fermentations. We will discuss prevention, signs of slowing, recommended analysis, risk management, and steps to get it going again while maintaining wine quality. Darren Michaels has spent more than a decade in the wine industry since leaving immunological and fermentation research behind, first as a wine chemist at Trinchero Family Estates then as central coast manager of Vinquiry, and finally the director of enology and winemaking at Terravant Wine Company. He joined LAFFORT® USA in 2012 with a healthy background in enology, winemaking and enological consultation and is proud to in Washington making his own label and supporting all of the great wines made in the Pacific Northwest. In terms of juice handling, international winemaking practices vary significantly from country to country. In Europe, it is typical to treat the free-run and press fractions with a fining product. In the US wine industry, we often see people only treating the press fraction and not the free-run. Not sure how it happened, but fining treatments developed a bad reputation in the States. It’s time to rebuild the reputation of fining agents and explain the benefits of juice fining on final wine quality. The goal of juice fining is to remove these troublesome phenolic compounds before they produce negative characters in the wine. At juice stage, the aroma and flavor compounds from fermentation have not developed, therefore cannot be removed by the fining treatment. The juice is less susceptible to over fining, where fining treatments on wine can remove some aromatics, having a “stripping” effect on the wine. At juice stage, higher levels of fining agents can be applied for phenolic removal without the worry of over fining. Doing a juice fining treatment will prevent potential oxidation and increase the wine aging capacity. Figure 1. A fining study conducted on a Sauvignon Blanc, oxidized juice. Looking at fining on juice verses wine. Cooler weather on the west coast, and rain on the east coast, has the 2018 harvest off to a slow start. Are you worried about vegetal characters in your Sauvignon Blanc or Rosé wines? 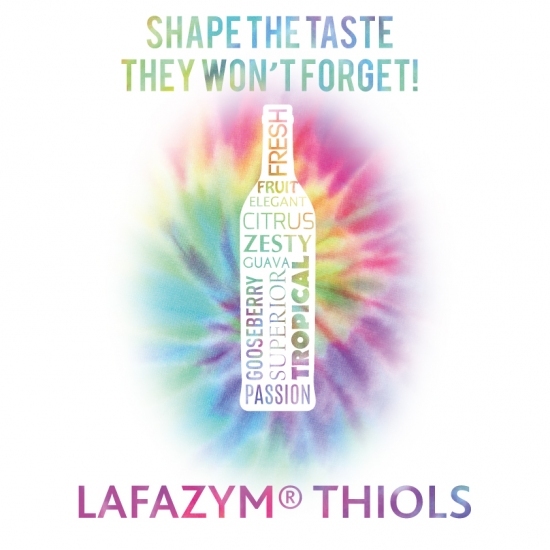 We have a new tool that will help boost the grapefruit, passion fruit, citrus, and guava in your wine, LAFAZYM® THIOLS. This new enzyme is a special pectinase blend, formulated to work on your grape juice solids just after pressing, extracting more aromatic precursors. Used in combination with an aromatic yeast strain like ZYMAFLORE® X5, DELTA or X16, your wine will be bursting with fresh fruit aromatics. If you need only a smaller portion of a liquid enzyme container, the remaining can be kept in the freezer and used the following harvest. WINDSOR HARVEST STORE ←Now open! A complex nutrient to enhance aromas and mouthfeel in white and rose wines. 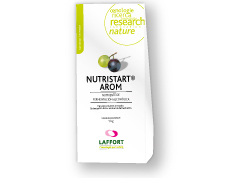 From studies in the cellar and original research results, LAFFORT ® has broadened the yeast nutrition range with NUTRISTART® AROM, an organic and mineral nitrogen-based formula of yeast nutrition specially developed to increase aromatic complexity, mouthfeel, and to provide aroma protection in white and rose wines. To build mouthfeel and stabilize from the beginning of the fermentation process. This new formulation based on yeast cell walls, inactivated yeasts and ß-glucanase has been developed to accelerate the softening of mouthfeel and stabilizing of reds wines when added during fermentation. 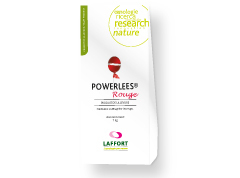 POWERLEES® ROUGE boosts the extraction of mannoproteins and the Hsp12 peptide fragment and diffuses these into wine from the commencement of alcoholic fermentation. It makes red wines smoother and more stable within shorter periods of time post fermentation, allowing for wines that are ready to bottle at an earlier age. Put your order in today! Everything You Need to Know about Effective Yeast Nutrition! Join LAFFORT® General Manager Shaun Richardson for a discussion on the most up to date work on effective yeast nutrition. Focus on the goal of effective yeast nutrition: producing a wine that is free from negative sulfide characteristics, and dry, with minimal residual sugar. Examine the key components for effective fermentation performance, rehydration and fermentation nutrients. Look to the future; the next step for wine yeast nutrition; influencing style through the individual impact of organic and mineral nitrogen on the production of thiols, higher alcohols and esters. Born in Melbourne, Australia, a country noted for having its initial population hand-selected by England’s finest judges, Shaun Richardson entered early into a life of wine, receiving a Bachelor of Science in Enology at the University of Adelaide. Moving to California, Shaun has developed his career from harvest intern to Vice President and Winemaker at Clos Pegase Winery in the Napa Valley, and graduated in 2013 from the Wine Business MBA program at Sonoma State University prior to taking on the role of General Manger at LAFFORT® USA. The enzymes used in winemaking are in fact multi-activity cocktails. Their main component being the principal activity, but they also contain many secondary activities. Enzymes are produced by living organisms, microscopic fungi – Aspergillus species and Trichoderma species. These species comprise a large number of strains, each strain producing a unique blend of activities or a fingerprint of enzymes. The fungi growing medium can also influence the strain production of activities. Important to know and select for the right tools for the juice conditions. • PL – Pectin Lyase – cuts anyplace between 2 galacturonic acids on main pectin chain. • PME – Pectin Methyl Esterase – will remove the methanol groups on the main chain. • Hemicellulases/Cellulases - help to break down cell wall structure. • RGII (Rhamnogalacturonase II) – removes RG II (polysaccharide) from the pectin, giving more mouthfeel to the finished wine. In this presentation we go back to the basics of enzyme chemistry, the role of enzymes in winemaking, and uncover the mystery of enzyme “cocktails”. We will also explain how enzymes are produced and the production steps that differentiate enzymes on the market today. The timing and practical usage of winemaking enzymes is explained as we define the LAFFORT® range of enzymes. enologist from the university of Toulouse, France. She has over 20 years’ experience in application and marketing of winemaking enzymes. Non-Saccharomyces yeasts can have a significant impact on flavor, both positive and negative. The flavor impact is determined by the activity of the specific organism and the must environment. In red winemaking, the “cold soak” process encourages non-Saccharomyces development, while in white winemaking, the cold settling or clarification process reduces the initial population of non-Saccharomyces. The traditional use of SO2 in grape processing will help control or lower the indigenous non-Saccharomyces populations. But what if there is another option….BIOPROTECTION! A growing trend: wine consumers are demanding lower total sulfur in wines. Combining these two high implantation capacity species ensures that the medium is protected by micro-organisms producing positive results in a wide range of must conditions. Specific strain of Torulaspora delbrueckii, high implantation capacity ensuring that the medium is protected and will bring aromatic complexity and good mouthfeel through fermentation. - Wide range temperature tolerance. Yeast are essential for making wine, as sugar cannot be converted to alcohol without these complex single cell organisms. As winemaking styles trend to higher potential alcohol, red fermentation temperatures increase, and our environmental climate changes, the yeast now require more complex nutrients to complete the alcohol fermentation to dryness. - Below 150 mg N/L, must is deficient. - Yeast nitrogen requirements depend on sugar concentration. The higher this concentration, the greater the amount of yeast biomass needed to complete fermentations. - The nitrogen addition is dependent on the yeast strain and proportional to the initial nitrogen concentration. *Chart for low Nitrogen demanding yeast strains. -10 ppm (YAN2) for moderate Nitrogen demanding yeast strains. -20 ppm (YAN2) for high Nitrogen demanding yeast strains. • Limit the production of SO2 and sulfur compounds (H2S and mercaptans). • Produce healthy, but not excessive, biomass. • Limit the risk of stuck or sluggish fermentation. A comparison of wines produced under the same conditions, except for the source of the nitrogen added, reveals significant preferences for wines derived from musts supplemented with NUTRISTART® ORG. The wines are considered fruitier, fresher, less vegetal and subject to less reduction than those supplemented with mineral nitrogen alone. For more information and experimental results, view our Yeast Nutrition and Organic Supplementation booklet. 100% Organic nitrogen from yeast origin, rich in amino acids, vitamins, pantothenic acid and micro-nutrients. * YAN brought by 200ppm = 14 mg/L. * Dosage: 200 – 600 ppm. Complete nutrient (inactivated yeast, yeast cell fragments rich in glutathione and diammonium phosphate). * YAN brought by 200ppm = 24 mg/L. Complex yeast nutrient combining organic nitrogen, DAP & Thiamine. *YAN brought by 200ppm = 28 mg/L. *Dosage: 200 – 300 ppm. Diammonium phosphate (DAP) and Thiamine. *YAN brought by 200ppm = 42 mg/L. Discover the new LAFFORT website! LAFFORT® LAUNCHES ITS NEW WEBSITE AND INVITES YOU TO DISCOVER ITS NEW FEATURES DESIGNED FOR YOU! Download our documentation easily with our multi-download option. Fill your cart throughout your browsing and click on download to retrieve all of your documentation. Optimized navigation and search with a new filter system in each range page to refine the selection of products fitted to your needs. Follow our news and events around the world with our calendar. San Francisco, CA June 8, 2018. LAFFORT® USA received the “Special Distinction” in Agribusiness at the French-American Business Awards. Marcy Mallette, Technical Representative for LAFFORT® USA received the award on behalf of LAFFORT® USA President Philippe Guillomet. The French-American Chamber of Commerce of San Francisco is a non-profit, non-governmental and member-driven organization. Its mission is to foster the French-American business community and to support companies settle and develop in Northern California. Whether you are doing routine SO2 additions to your aging wines or your first SO2 additions post ML to your new wines, the Oenosteryl SO2 effervescent tablets are the answer. Very precise addition - less room for error compared to liquid SO2 addition. No gas mask required - health and safety for your cellar crew. No license and permits needed - save time and paperwork. No stirring post addition - lowers oxidation and contamination risk. 2g OENOSTERYL® tablet adds 8 ppm of total SO2 to a 60 gallon barrel. 3g OENOSTERYL® tablet adds 13 ppm of total SO2 to a 60 gallon barrel. 5g OENOSTERYL® tablet adds 22 ppm of total SO2 to a 60 gallon barrel. Contact your local rep for more information and product orders. The two most common fungal-related issues in Californian vineyards during harvest are the presence of Powdery Mildew and Botrytis cinerea. Downy Mildew has been seen in very isolated areas during the 2017 growing season, but is very rare in California. Powdery mildew occurs during the growing season, generally ceasing by 12 Brix, but occasionally up to 18 Brix. It most typically causes an earthy, moldy flavor-aroma which comes from proteins produced by the infecting fungus as it invades the skin tissue of the grapes. An infection greater that 3% can have significant negative impact on wine flavors. Treatment of the juice prior to fermentation can mitigate these off-flavors. Botrytis Cinerea occurs either due to mid-season rains at flowering causing spores to occur within the cluster prior to berry enlargement, and/or rain and humidity during the harvest period causing further sporulation of the mold species, either within the cluster or on the surface of the grapes. With a fungal rot such as Botrytis, there are organoleptic concerns and also oxidation risk due to the enzyme laccase which is produced by the mold. In addition to limiting the extraction and presence of any off-flavor proteins winemakers must also eliminate the laccase activity as much as possible while controlling the re-dox environment of the must and wine to limit any damage to color and flavor-aroma compounds. As a sign of our growing business Laffort USA is excited to make the availability of high quality oenological products more accessible to Sonoma County winemakers by opening a new retail store in Windsor. All through harvest, feel welcome to drop in and pick up your supplies. Please call in advance for larger orders to verify enough stock is available. Samples are also available, please email jason.pepper@laffort.com to check stock/sample levels. To avoid the oxidation of polyphenols into quinones and to protect aromas, it is essential to implement all available techniques: evaluation of good practices in wineries (avoid air outlets, check the gaskets fittings,...), rigorous process and use of inert gases. Cold conditions limit enzyme activity in terms of colour extraction and oxidation by polyphenol oxydases. It is therefore essential to work on these pre-fermentation phases as quickly as possible at low temperature. The objective for rosé wines that are pressed directly is fast, qualitative release of juices to obtain the best aromas without extracting colour. It is strongly recommended to use enzymes during the filling of the press. Products can have a broader spectrum of action than indicated above depending on the wine’s matrix. For further advice please contact your LAFFORT® supplier or agent. For spring 2017, Laffort will be offering these informative seminar venues in Santa Rosa, Oregon and Paso Robles, California. Gwennaëlle Debelmas, Laffort France, Fining and Stabilization Range Manager, and Dr. Peter Salamone, Laffort USA, Technical Manager, will be among other informative speakers. Laffort is a fourth generation family owned business founded in 1895 with a history in research and discovery in enology dating back to Pasteur’s seminal works. The Laffort group is proud to dedicate one of the largest budgets among private enological companies to Research and Development in the wine industry. As a result of these efforts, Laffort holds many patents and regularly launches innovative products and processes for the wine industry. Laffort holds HACCP and ISO certifications and Laffort USA is the first winemaking product supplier in the U.S. to achieve Green Business Certification. If you are thinking about cold stabilizing your wines, this newsletter is for you. 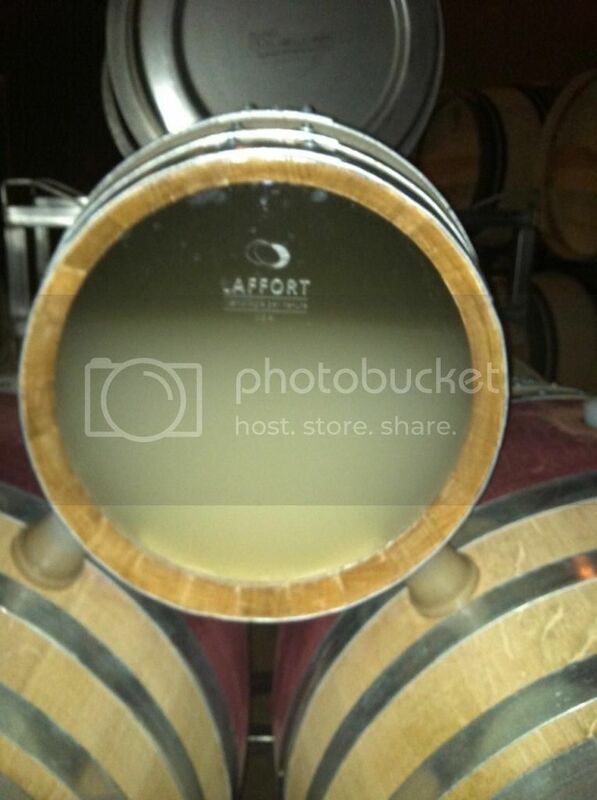 LAFFORT® offers revolutionary solutions for stabilizing potassium tartrates (KHT) in white, rosé, and red wines. Both MANNOSTAB® and CELSTAB® work to inhibit the advancement of potassium bitartrate crystallization - by binding to the surface of tartrate molecules at multiple sites, therefore blocking the sites necessary for crystal growth. CELSTAB® is a highly purified carboxymethyl modified vegetal-origin cellulose polymer, with a low degree of polymerization and viscosity. Its 10% liquid (100g CMC/L of solution) formula makes it easy to incorporate into wine. Celstab® is recommended for use in white and rosé wines. MANNOSTAB® is the only mannoprotein naturally present in wines with a potassium bitartrate stabilization property for all wine types. This specific mannoprotein, designated MP40, is enzymatically extracted from yeast cell walls by a patented process (patent n°2726284), which guarantees and preserves the stabilizing capacity of the MP40 mannoprotein regarding potassium bitartrate. precipitations. • Stabilization – will inhibit potassium bitartrate crystallization. • Preserve Wine Quality – no loss of acid or raising of pH. • Sustainability – no waste, no water and no energy usage. • Saves Time – instant stability with one easy addition 48 hours before bottling. This 4 hour test measures the instability in the wine before treatment. Wines must be less than 25% unstable for treatment with CELSTAB® and less than 20% unstable for treatment with MANNOSTAB®. MANNOSTAB® dosage is determined by the result of the DIT% test. 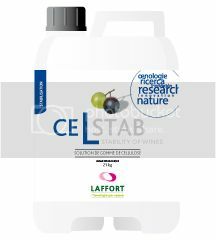 CELSTAB® is a constant dosage for all applicable wines. This is a modified conductivity test, taking into account all the ions still in solution with Celstab® or MANNOSTAB® treatment. This is the recommended test to assay CELSTAB® and MANNOSTAB® effectiveness in your wine. You want to see < 4 μS (micro siemens) change from minute 40 to minute 120 in a passing ISTC 50 test. Laffort USA are pleased to announce we have Ovoclaryl, dried egg albumin back in stock. Due to a change in the Food Safety Inspection Service regulations in 2016, we were unable to import egg whites from French chickens. We have since located a supplier in the U.S. and are now pleased to offer Ovoclaryl again. This is the same quality of product and comes with the same Laffort certifications and packaging. Available in 1 kg size, and 50# size on special order. Please contact us with any questions. Petaluma, CA – Laffort USA will present their Applied Research Cooperative (ARC) seminar at the Citizen Hotel on January 24, 2017 at 4:00 p.m. during the Unified Wine and Grape Symposium held in downtown Sacramento. ARC is Laffort’s innovative and collaborative program with leading wineries performing identical trials on one specific process or product, across multiple regions and varieties during a single harvest. Dr. Peter Salamone, Technical Manager of Laffort USA, will discuss completed and in-process ARC projects from the 2016 harvest. ARC provides verified production winery data on current and innovative winemaking processes. Laffort USA, General Manager Shaun Richardson is committed to building on the strength of the Research and Development work of Laffort worldwide, and bringing this knowledge to real world winemaking. Shaun shares, “ARC by Laffort provides the ideal format for robust and valuable winemaking trials. Typically, wineries see results from only one data set during their own vintage trials, whereas the ARC protocols give multiple trial results, in the short space of one harvest.” If interested in attending, register at âhttps://goo.gl/MOQRVn. Founded in Bordeaux in 1895, Laffort is a fourth-generation family-owned business with a history of innovation in enology dating back to the seminal works of Louis Pasteur. Laffort is proud to dedicate a significant budget to research and development both in company laboratories and in collaboration with universities worldwide. Laffort holds multiple patents as well as HACCP and ISO certifications. Laffort USA is the first winemaking product supplier in the U.S. to achieve Green Business Certification. Feel the volume of mannoproteins ! MANNOFEEL® is the latest result of LAFFORT® expertise on mannoproteins; their identification, the understanding of their action and their production. The mannoproteins in MANNOFEEL® are extracted from yeast cell walls by a specific process that allows us to obtain a highly purified product with the highest content of mannoproteins on the market. Provides complex mouthfeel and roundness on palate. Contributes to the colloidal stabilization of the wine. Respects the freshness and the fruit of the wine. Product in liquid form, ready to use, with an immediate action on the wine. Excellent filterability; MANNOFEEL® has no impact on the wine’s filterability. Can be used towards the end of ageing and during wine preparation for bottling. Highly purified product, MANNOFEEL® is exceptionally rich in mannoproteins. First LAFFORT® developed AUTOLEES®, an extract of yeast cell walls rich in the peptide Hsp12 which adds the perception of sweetness to wines. LAFFORT® now introduces MANNOFEEL® to offer winemakers another option to impact the overall mouthfeel of wines. MANNOFEEL® can be used as the last treatment before bottling (after blending, fining and X-Flow/Pad/DE filtration, etc.). This purified product gives the winemaker the freedom to make quality improvements at the final stages before bottling without negatively impacting stability or filterability. Between 25 - 150 mL/hL depending on the wine matrix. For your healthy lees - EXTRALYSE® Preparation of beta-glucanases and pectolytic enzymes, purified from Cinnamoyl Esterase activity. EXTRALYSE® is used for fast and efficient extraction of sur lie ageing character and improving wine filterability. For your spoiled lees - OENOLEES® Specific preparation of yeast cell biomass for building midpalate length and eliminating polyphenols responsible for bitterness and astringency. OENOLEES® is rich in a specific peptide, Hsp 12, which gives a sweetness perception to wine. (Patent EP 1850682). 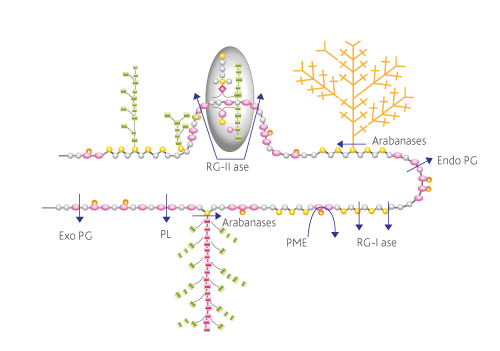 The yeast cell wall and membrane are complex structures. EXTRALYSE® acts on beta-glucans in the cell wall allowing for gentle autolysis of dead yeast cells thereby releasing many of the advantageous compounds for sur lie character. While OENOLEES® is derived from whole yeast cells, it is enriched in adsorbent cell wall fractions and peptides from the inner membrane protein, Hsp12, which delivers a sweet sensation in wines. 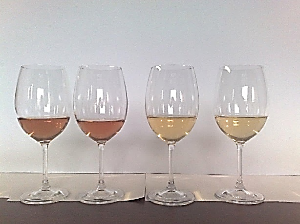 Sensory modeling of two wines after treatment with OENOLEES®. The OENOLEES® effect works to add roundness on the entry, elevate the mid-palate and extend the finish of the wine. Thanks for joining the The Fantastic La4 this harvest. Our last episode features LACTOENOS® SB3 DIRECT in THE ROYAL FLUSH. We hope your harvest has been abundant and excellent in quality, and we look forwards to talking with you soon. In 2017 we will be presenting a series of seminars and webinars on Finishing Wines for Bottling, so please look out for those invitations. Give us a call for all your winemaking ingredient needs. All our contact details are on our website atth, and after that, Monday through Friday only. After harvest cellars are filled with fluffy lees, some are lively and fresh while others are dirty and reductive. Have you evaluated the lees in your cellar? In this webinar, we will discuss two products that are tools for working with both good and bad quality lees in your new 2016 wines. Panelist Jillian Johnson, Technical Winemaker Representative. Our next adventure in The Fantastic La4 to get you through harvest features CAPTAIN AROMAand ZYMAFLORE® XPURE. Our next adventure in The Fantastic La4 to get you through harvest features Lady Dynamite and LAFASE® HE GRAND CRU. A big thank you to Anne-Charlotte Villate and Anne Schaeffer from LAFFORT FRANCE for penning these cartoons. Happy Saturday ! We thought you would like a series of cartoons to entertain you for the next four weeks. Starting today is The Fantastic La4 to get you through the red wine harvest. Head over to this link to check out Episode 1, The Oxygen Knockout. The objective of yeast nutrition is the balance between biomass formation and Hydrogen Sulfide formation prevention. Too much Nitrogen in the must will signal the yeast to create a large biomass, which then will deplete YAN and require more nutrient addition in mid-fermentation. So the timing of addition is critical. H2S production prevention depends on the balance of Nitrogen and Sulfur metabolism of the yeast. YAN is needed to integrate H2S into Sulphur-amino acids. If not enough YAN, then H2S is produced. Click the button below to go to our on-line nutrient correction calculator. Simply enter in your juice details, yeast, and ferment temperature and the program will calculate your nutrient additions. The above chart outlines our target YAN by potential alcohol content of the wine. Currently, the page with the nutrient calculator is in French. Most web browsers have a translator that can convert the text to English. We have a 3 minute educational video detailing the steps for re-hydrating yeast. The video is available in English and Spanish. This is a very useful tool for training interns on the importance of following the steps for building healthy yeast cultures. Remember to talk about yeast nutrients and what to do when they smell H2S…sound the alarm! Running out of time to get your 2015 wines topped up and sulfured before the grapes come in? Oenosteryl effervescent tablets are an easy way to add SO2 and mix your barrels. Simply add one or two tables to each barrel and replace the bung. The effervescence will not force the bung out. Watch our video for more information. 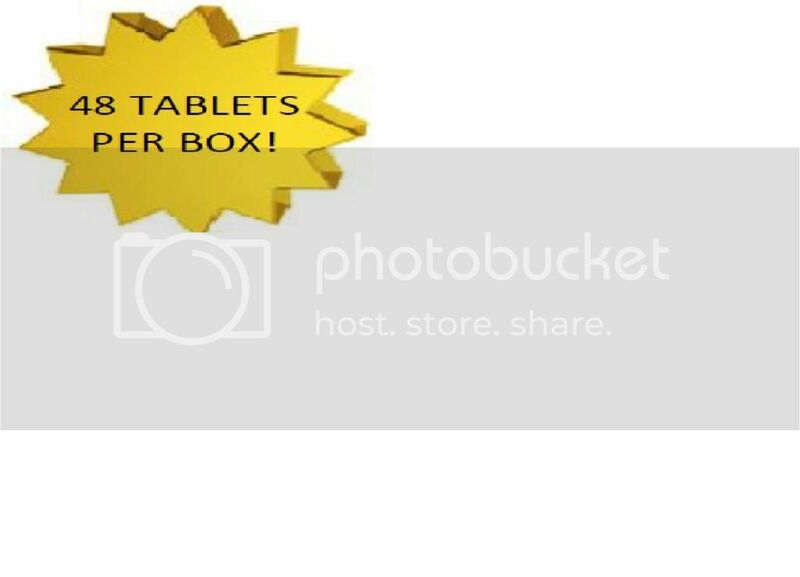 · 2g tablet – 8ppm to a 225L barrel – Learn more online! · 5g tablet – 22ppm to a 225L barrel – Learn more online! We moved to a larger space with more parking to accommodate the growth of our business. Please come for a visit, pick up a Harvest Booklet, and have a coffee with Pam. We are in the same complex as Mad Fritz brewing, good beer for harvest! See you all soon. Many decisions made by a winemaker can influence the final characteristics of a wine. The vision of the winemaker drives the final style of a wine in many ways. Yeast selection is a very important decision for many reasons, but one which is often overlooked is the impact of yeast on the mouthfeel or body of a wine. White wine palate and body is an often overlooked characteristic when considering yeast selection. In Chardonnay wines, ZYMAFLORE® VL2 shows a clean aromatic profile and due to significant polysaccharide production these wines provide a nice, rich mouthfeel along with reliable fermentation performance. âCo-fermentation with the non-Saccharomyces yeast strain Torulospora delbruckii known as ZYMAFLORE® ALPHA brings significant mouthfeel to many varietal wines, both red and white, and also provides intensity and complexity of aroma characters. ZYMAFLORE® F15, through the increased production of glycerol, also provides rich mouthfeel and body in red wines showing that yeast selection is a significant decision in driving wine structure and style. Zymaflore XPURE® offers winemakers a great tool for the production of wines of great aromatic purity. XPURE naturally has very low production of negative sulfur compounds H2S and SO2, as well as low production of those compounds binding SO2. XPUREhelps to reduce the perception of vegetal characters, and lends itself to freshness and the expression of dark fruit and great suppleness in the mouth. In order to provide the best possible starting environment. SUPERSTART® BLANC and SUPERSTART® ROUGE. for the yeast throughout the fermentation including a strong finish. including high brix, higher potential alcohol, increased temperature and increased phenolics. SUPERSTART® BLANC and SUPERSTART® ROUGE both work to provide yeast with essential components needed for optimal rehydration and supercharged initial fermentation performance with a strong finish. services and winemaker collaboration space. LAFASE® HE GRAND CRU is a granulated pectinase based enzyme formulation derived from Aspergillus niger and Aspergillus aculeatus. It is very high in polygalacturonase (PG) as well as various enzymatic side-activities such as cellulase,various hemicellulases and rhamnogalacturonases. LAFASE® HE GRAND CRU is purified from side-activities such as cinnamoyl esterase and anthocyanase that can be harmful to wine quality. It is recommended for the production of fullbodied, ultra-premium wines, destined for aging. booklet or ask your local representative for a printed copy. To avoid the oxidation of polyphenols into quinones and to protect aromas, it is essential to implement all available techniques: evaluation of good practices in wineries (avoid air outlets, check the gaskets fittings,...), rigorous processand use of inert gases. Cold conditions limit enzyme activity in terms of colour extraction and oxidation by polyphenol oxydases. It is therefore essential to work on these pre-fermentation phases as quickly as possibleat low temperature. The objective for rosé wines that are pressed directly isfast, qualitative release of juices to obtain the best aromas without extracting colour. It is strongly recommended to use enzymes during the filling of the press. Laffort has arrived at TCW in Santa Rosa with a full range of products. Laffort and TCW can now service Sonoma County even more efficiently for all your winemaking needs. Petaluma, CA Laffort USA, a leading supplier of innovative winemaking products, sponsors Cyril Derreumaux, Business Development Manager for Nobile premium wine oak alternative products, whom will be participating in the biggest physical and mental challenge of his life. Starting on June 4th, 2016, Cyril will be rowing across the Pacific Ocean from Monterey, California to Honolulu, Hawaii. This athletic expedition consists of a 4­man crew from different nationalities (France, Brazil, Iceland, USA) named “Team Uniting Nations”. The daring team will row a 24 ­foot boat in shifts of 2­ hours increments day and night. The estimated length of time the row will take is between 40 and 45 days. “Team Uniting Nations” is aiming to beat the current Guinness World Record of 43 days. Laffort USA wishes them good luck on this ambitious goal and accomplishment. Follow Cyril’s journey at the links provided below and he will see you when he returns with a lot of amazing stories to tell! Laffort USA, leading supplier of innovative winemaking ingredients, announces the annual spring Rendezvous seminar series from April 24, 2016 through May 12, 2016 throughout the West Coast wine regions in California, Oregon and Washington, as well as online via webinar. Dr. Joana Coulon, head of Laffort Research and Development in Microbiology, and Dr. Peter Salamone, Laffort USA Technical Manager, will be among other informative speakers. One keynote topic is ‘Reducing SO2 in Red Winemaking’, which will highlight recent innovations in lowering addition rates for SO2 throughout the winemaking process for a more natural approach to winemaking. Original results for the Laffort USA Applied Research Cooperative (ARC) group is another keynote presentation. The Laffort ARC is a collaborative project with up to 15 wineries working on one single trial with an identically defined protocol. At the end of harvest, multiple replicates are produced across many lot sizes, varieties, and regions. Shaun Richardson, General Manager of Laffort USA, states of the trials that; “The ARC project is the ideal scenario to find real-world solutions to winemaking issues across numerous wineries in the short space of one harvest”. vintners can be informed on the latest solutions . interested in attending, register at http://tinyurl.com/ARCseminar. supplier in the U.S. to achieve Green Business Certification. Laffort (ARC) Applied Research Cooperative 2016 Unified Seminar - Register Today! New Supplier Locations of Laffort Winemaking Products Near You! We now have sulppliers in Santa Rosa, Healdsburg, Petaluma and St. Helena! Get all your winemaking materials at these locations. Now is the time to grab your winemaking products! We would like to welcome you to the 2015 Laffort Harvest Webinar Series! Saint Helena, CA., July 8, 2015 Pamela Saling is Sonoma County native who has always had interest in creative branding. She received a Bachelor’s degree in Communications with minor in Business at Sonoma State University. Pamela began her career in the wine industry 15 years ago and worked for Seagram's within their marketing department housed at Mumm Cuvee Napa in Rutherford. At Seagram’s, she had the exciting opportunity to be a part of branding initiatives and goals for many different global wine and champagne brands. Pamela has since held increasingly responsible roles within marketing departments at several mid-sized to large corporations. Pamela has been involved in B2B marketing and business development with Napa and Sonoma County cork suppliers. Pamela Saling can be reached by email at pamela.saling@laffort.com and by phone at (707) 967- 8290. Laffort is a fourth generation family owned business founded in 1895 with a history of research and discovery in enology dating back to Pasteur’s seminal works. The Laffort group is proud to dedicate one of the largest budgets among private companies to Research and Development. As a result of these efforts, Laffort holds many patents and regularly launches innovative products and processes for the wine industry. Laffort holds HACCP and ISO certifications and Laffort USA is the first winemaking product supplier in the U.S. to achieve Green Business Certification. Laffort 2015 Free July Harvest Shipping! placed and delivered by July 31st! to download a copy or give us a call! Have you tried AUTOLEES yet? • AUTOLEES® is a rapidly dissolving powdered product. • Solubilize AUTOLEES® in 5 to 10 times its weight in water or wine and homogenize before adding to the tank. • Recommended dosage: 50 to 300ppm. • Add up to 48 hours prior to bottling! Laffort USA has 2 new retail outlets in Sonoma county! Laffort USA now has its innovative enological products more easily accessible by the Sonoma County winemaking community. Carlsen & Associates in Healdsburg and TCW Equipment in Santa Rosa are widely known and respected suppliers to the wine industry. The Compleat Winemaker (now TCW) began selling winemaking equipment in 1966 in St Helena, and have recently moved to new and expanded premises in Santa Rosa. Carlsen & Associates began building and distributing specialist winemaking equipment in 1987 in Healdsburg. Both companies come with renowned reputations of offering outstanding products and services, and Laffort are very proud to be associated with each. Laffort celebrates 120 years in 2015 as a fourth generation family owned business founded in 1895. The history of Laffort in research and discovery in enology dates back to Pasteur’s seminal works. The Laffort group is proud to dedicate one of the largest budgets among private enological companies to Research and Development in the wine industry. As a result of these efforts, Laffort holds many patents and regularly launches innovative products and processes for the wine industry. Laffort holds HACCP and ISO certifications and Laffort USA is the first winemaking product supplier in the U.S. to achieve Green Business Certification. Sit down and join our webinars! Peter Salamone, Laffort USA Technical Manager will be hosting 2 webinars this week on Celstab. Your reds are lacking structure? Call our office (707) 775-4530 to have a sample shipped to you, or call (707) 967-8290 to pick up a sample at the St Helena store. Samples will also be available at the NCWIE on Dec. 4th - BOOTH #436! Come see us at Rootstock! Laffort USAwill be at ROOTSTOCK, the revolutionary conference designed for top quality grapegrowers, vineyard and winery owners, and winemakers worldwide at BOOTH #120. There are so many factors involved in keeping fermentations happy, so it is no surprise that stuck ferments can require considerable detective work to figure out what actually went wrong. While identifying the cause can help in developing a remediation strategy, it is not always essential for taking the next steps to restarting the fermentation. There are steps we can take to minimize spoilage risks and maximize wine quality, aided by some understanding of cause and effect. 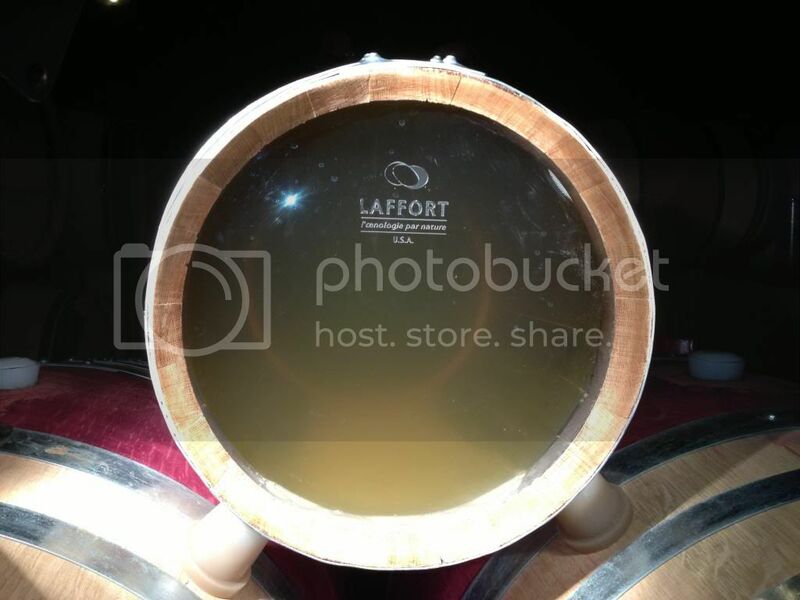 LAFFORT has developed specific tools to help winemakers in this regard which include a protocol for restarting stuck fermentations that has proven to be particularly effective. In general, follow the basic steps of; 1) detoxify your medium with BIACTIV, 2) rehydrate ACTIFLORE BO213 with SUPERSTART ROUGE, and 3) slowly acclimate the yeast culture to the stuck wine. BIACTIV: a blend of yeast hulls for detoxification, cellulose for support in keeping yeast in suspension, and non-nitrogenous yeast nutrition to boost the yeast. 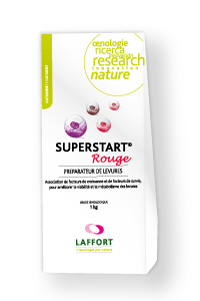 SUPERSTART ROUGE: a yeast derived re-hydration nutrient rich in ergosterol, vitamins, minerals and fatty acids. SUPERSTART ROUGE will protect your yeast and make them more resistant to the challenging conditions of a stuck ferment. ACTIFLORE BO213: ex-Bayanus, Saccharomyces yeast strain specifically recommended for restarting stuck ferments. Fructophilic, tolerant to 18% alcohol, low VA production and short lag phase. It appears we are having an unusual outbreak of Lactobacillus kunkeei this harvest. With the kunkeei infected stuck ferments, the recommendation is to add 20-30ppm SO2 and 250ppm Lysozyme and then proceed to the restart protocol. Let's talk MLB - Choosing the right type of Inoculation! Fermentation management typically involves the addition of yeast, then the addition of bacteria for malolactic fermentation following the completion of alcoholoic fermentation. Whether you choose an early co-inoculation, a late co-inoculation or a sequential inoculation it is important to choose the right type of ML strain. Rehydrating your yeast has never been so easy! Click on the image to view the step by step video on our Yeast rehydration protocol and avoid fermentation issues! Yeast rehydration is a critical step! SUPERSTART products are yeast rehydration nutrients to be used at the active dry yeast rehydration step to ensure healthy fermentation completion and aromatic performance. Thanks to its high ergosterol content, SUPERSTART Rouge improves yeast cell longevity under stressful conditions and increases their tolerance to high temperatures and alcohol. Thanks to its specific formulation, particularly rich in certain vitamins and mineral salts, SUPERSTART Blancoptimizes the production and aromatic revelation of yeasts, producing more aromatic wines while also guaranteeing stronger fermentation completion. To introduce and develop two new product lines in North America,Laffort has appointed Cyril Derreumaux as a Business Development Managerfor Nobile, premium oak alternatives, and Esencia, natural flavouring componentsfor aromatic wines and spirits. Cyril Derreumaux comes to Laffort with successful experience in international businesses from Argentina, France, and the U.S. Derreumaux holds a Master’s Degree in International Business from ESCP Europe, and was most recently General Manager with Vivelys USA, a winemaking consulting company. Cyril will be based in Petaluma, where Laffort USA is already established. Cyril Derreumaux can be reached by email atcyril.derreumaux@laffort.com or by phone at (707) 318 6135. 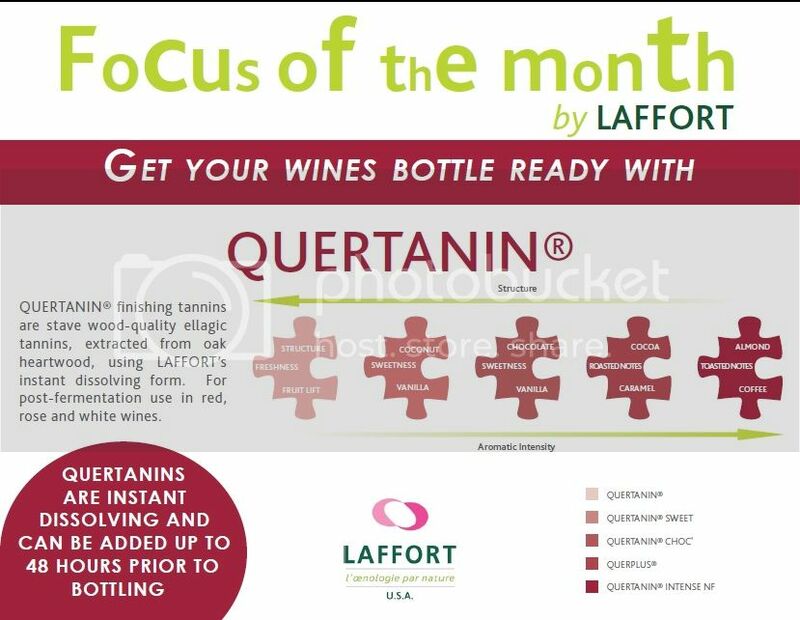 QUERTANIN finishing tannins are stave wood-quality ellagic tannins, extracted from oak heartwood, using LAFFORT's instant dissolving form. For post-fermentation use in red, rose and white wines. The 2014 Vintage Laffort catalog is in your mailbox! QUERTANIN CHOC' & INTENSE NF, preparations of stavewood quality ellagic tannins, extracted from oak, instant dissolving process (IDP) for the ageing of white wine, roses and reds. If you have not yet received your copy, give us a call or download here. Last chance to join our RENDEZ-VOUS in Paso Robles, St Helena & Santa Rosa! If you want to hear all about yeast nutrition and new innovative products by Laffort, please join our technical seminars happening in Paso Robles on April 29th, in St Helena on April 30th and in Santa Rosa on May 1st. 2014 Rendez-vous with Laffort - Please join us! A technical seminar featuring presentations on yeast nutrition and innovative new products from LAFFORT! 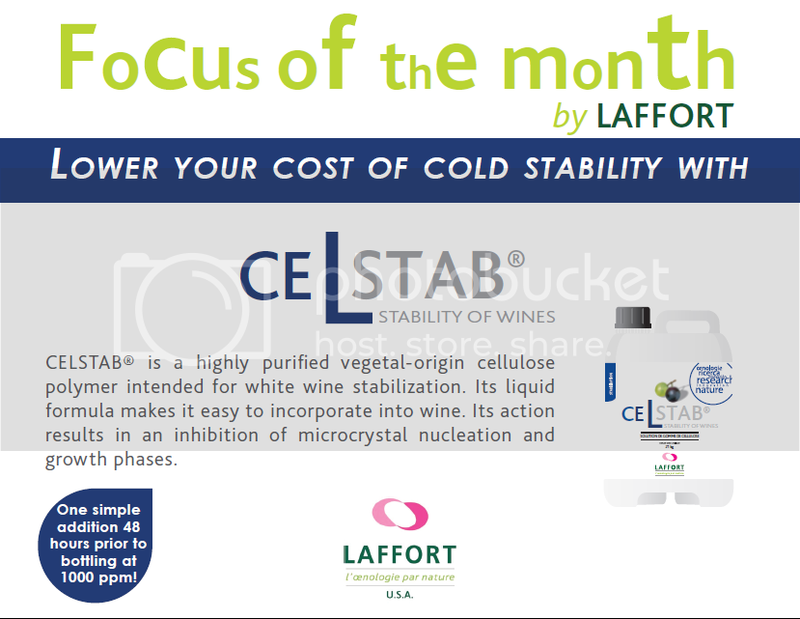 Lower your cost of Cold Stability ..
CELSTAB® is a highly purified vegetal-origin cellulose polymer intended for wine stabilization. Its liquid formula makes it easy to incorporpate into wine. Its action results in an inhibition of microcrystal nucleation and growth phases (via disorganization of the surface of the salts that are required for crystal formation). 2014 Rendez-Vous with Laffort - SAVE THE DATE! 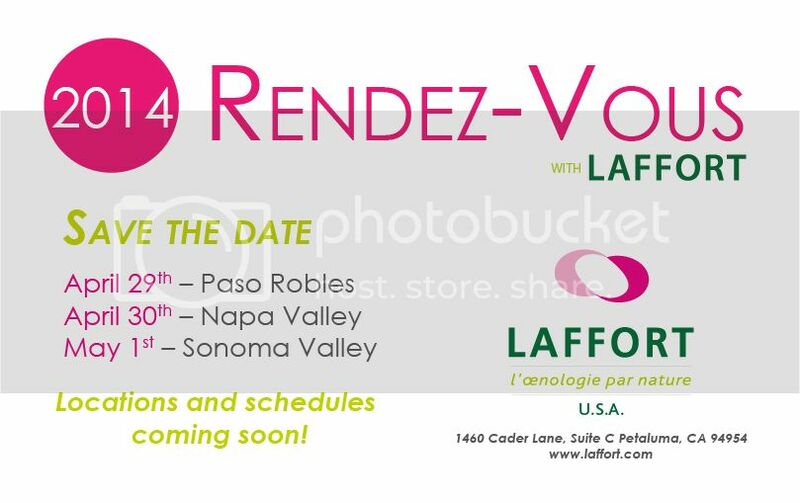 Join us for the 2014 Rendez-vous with Laffort! Potato - the new frontier for allergen free fining? For those of you who stopped by our booth at Unified (Thank You! ), you most likely heard about our new allergen free fining productVEGECOLL. VEGECOLL is a product developed from a potato proteinthat was selected for its clarification and high reactivitywith other proteins in wine. Contact us today for more info and samples! 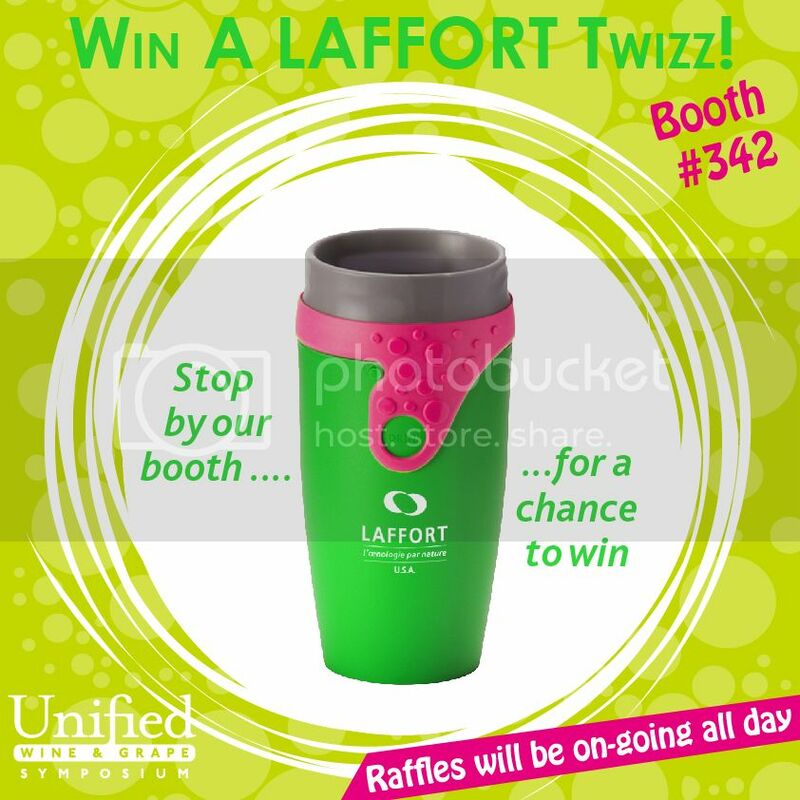 Find out what the Laffort TWIZZ is all about - UNIFIED BOOTH #342! LAFFORT USA will be downstairs this year - BOOTH #342 so come visit us and share coffee & pastries both mornings. New staff, new products, new videos ... and don't miss our raffles for a chance to win a TWIZZ ! Only a few days left to play our Holiday Game and have a chance of winning a bottle of Champagne just in time for the Holildays! HOW TO GET YOUR BACTERIA TO WORK? ML Bacteria need nutrients to develop and sustain themselves. They mostly nned amino acids and vitamins, found in the wine (coming from the grape, yeasts and added nutrition). WHAT TO DO WHEN THE FERMENTATION DOES NOT START? The first thing to do would be to confirm how much bacteria actually are in the wine. Microscope observation can provide information on potential spoilage micro-organism that would explain the slow growth of bacteria. Bacteria may also just lack nutrition. Recent works highlighted the specific needs of bacteria in terms of nutrition: 5 amino acids (AA), 2 vitamins and 2 mineral co-factors play a particularly important role in the malo-lactic conversion metabolism. The LAFFORT ML nutrient MALOSTARThas been recently revisitedto have a higher concentration in these vitamins and AA, while minimizing the concentration in AA precursors of biogenic amines. To read our complete newsletter, please click here. HOW TO GET THE BEST OUT OF YOUR LEES? The practice of aging wines after fermentation on either the gross or fine lees is very common. Yeast cells will release amino acids, positively impacting mouthfeel and used as nutrients by ML bacteria. Specific enzymes will speed up and amplify these benefits, as well as help in microbial clarification and filterability. Scientists reported the release of various compounds such as amino acids, nucleotides, polysaccharides, mannoproteins and low molecular weight peptides into the wine. Of particular interest are the peptides released, as they have a profound effect on the perception of 'sweetness' of the wine, as well as a masking effect on wine astringency. A PROCESS THAT WOULD NORMALLY TAKE MONTHS CAN BE REDUCED TO WEEKS. The use of glucanase enzymes such as LAFFORT EXTRALYSEallows for earlier processing of more stable wines resulting from the action of released mannoproteins, which increase tartrate and protein stability. EXTRALYSEwill also help with Malo-Lactic fermentation start by speeding up the release process from the yeast membrane of nutrients beneficial to ML bacteria. Botrytis and Saccharomyces produce a long chain of beta-glucan, negatively impacting the wine's filterability. We now know that beta-glucanases combined with pectinases offer better results to improve filterability than a beta-glucanase only. EXTRALYSE,by hydrolyzing the glucan molecules, also helps fraction the colloidal net and therefore Brettanomyces or spoilage organisms' sedimentation in lees. The first wine racking is more efficient and contamination risk is greatly reduced. Are you thinking ML yet? LACTOENOS 450 PREAC is an Oenococcus oeni high performance strain. It has strong implantation capacities in wines, helps limit microbiological contamination and very resistant to high alcohol. It is also a very suitable strain for co-inoculation in red wines. LACTOENOS B28 PREAC is an Oenococcus oeni strain which is particularly active in difficult conditions. LACTOENOS SB3 INSTANT is an Oenococcus oeni direct inoculation strain. It has a low VA production and is compatible with a large number of commercial yeast strains. It comes in a very useful barrel dose size. Get more info today by calling the Petaluma Office at (707) 775-4530 or the St Helena store at (707) 967-8290. Tips to avoid stuck ferments! We're seeing some slow ferments out there so here are some tips to keep those fermentation going smoothly! - Make sure you rehydrate your yeast with DYNASTART,a yeast preparation for use in re-hydration water to enhance wine quality and assure a strong fermentation finish. The essential elements provided by DYNASTARTwill guarantee membrane fluidity and its good resistance to alcohol. 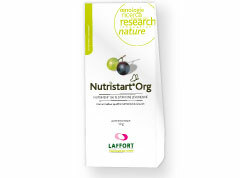 - Feed your yeast well throughout fermentation with NUTRISTART / NUTRISTART ORG. NUTRISTARTis an all-round yeast activator combining growth and survival factors and promoting yeast multiplication. Contains DAP and can be used on all varietals at 300ppm. NUTRISTART ORG is a 100% organic nutrient, naturally rich in vitamins, minerals and trace elements that promotes cellular multiplication. Can be used on all varietals at 300ppm. - As soon as your fermentation starts slowing down, using BIOACTIV will help detoxify the must, provide survival factors and enable fermentation to complete. BIOACTIV does not provide assimilable nitrogen, recommended dosage is 200-400ppm. For any questions on yeast rehydration protocol or yeast restart protocol, please visit our website at www.laffortusa.com or contact your technical rep. The most well known wine enzymes are the pectinases, a diverse mixture of enzyme activities which act in concern for specific effects. SPECIALIZED RED WINE ENZYMES: LAFASE HE GRAND CRU for long, traditional macerations and LAFASE FRUIT for short macerations and cold soak. SPECIALIZED WHITE WINE ENZYMES: LAFAZYM EXTRACT for skin contact, LAFAZYM PRESS for direct pressing and LAFAZYM CL for clarification and settling. SPECIALTY ENZYME WINE APPLICATIONS: EXTRALYSE for lees ageing & clarification and LAFAZYM AROM for aroma enhancement. 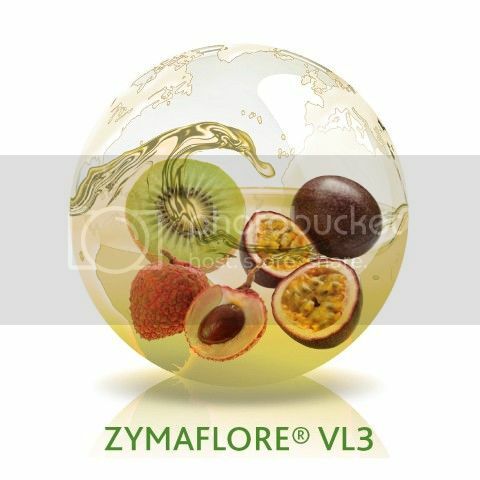 ZYMAFLORE 011 BIO, a Saccharomyces cerevisiae selected for its remarkable fermentation capacities, its resistance to alcohol, its respect for grape variety specificity and its low production of medium chain fatty acids. DYNASTART, a specific preparation of yeast origin, naturally rich in vitamins, minerals, fatty acids and sterols. During the re-hydration process, the yeasts will absorb these essential elements to ensure a healthy and strong membrane, proven to have effect even through the last generation of cell budding. NUTRISTART ORG, a 100% organic nutrient naturally rich in vitamins, minerals and trace elements that promotes cellular multiplication. Reproduces the nutritional distribution naturally present in the must and guarantees improved nutritional balance of the yeast. BIOAROM, a yeast bio-product with high protective power for aroma preservation in white and rose wines. BIOAROM allows the yeast to assimilate the glutathione precursors during AF and allows the acquired aromatic potential of the wines to gain a higher protection from oxidation. BIOLEES (patent n 452803), a specific preparation of yeast cell walls with a high sapid peptide content for eliminating specific polyphenols responsible for bitterness and astringency. BIOLEES helps enhance fining capacities, reduce aggressive characters and elevates midpalate sensations. MANNOSTAB, a revolutionnary OMRI and USDA-NOP recognized solution for stabilizing potassium bi-tartrate in red, rose and white wines. 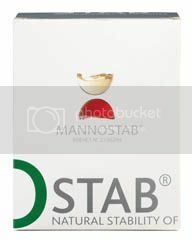 MANNOSTAB is a preparation of highly purified yeast extracted mannoproteins that perfectly preserves the quality of the wine. For more information, please contact our main office & warehouse in Petaluma at (707) 775-4530 or our St Helena store at (707) 967-8290. SB yeast, ML bacteria, liquid enzyme - LAFFORT is getting ready for harvest! LACTOENOS B28 PREAC, a pre-acclimatized Oenococcus oeni strain which is particularly adapted to white and red wines that accumulate conditions that are stressful for bacteria (low malic acid concentrations, high tartaric acid contents). LAFAZYM 600XL, a liquid enzyme preparation for a quick and efficient clarification of musts and wines for a large spectrum of pH (2.9-4). Especially adapted to help settle musts from very difficult grape varietals and allows clarification of musts after thermotreatment. 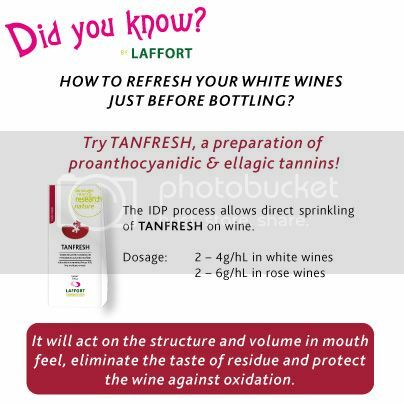 TANFRESH, a preparation of proanthocyanidic and oak ellagic tannins that dissolves instantly, recommended for rose and white wines. It will refresh the wine aromas, protect it from oxidation and act on the structure and volume in mouthfeel. If you have not yet received your 2013 Vintage Catalog, please give us a call to request your copy! What happens inside a barrel? - THE VIDEO IS FINALLY HERE!! 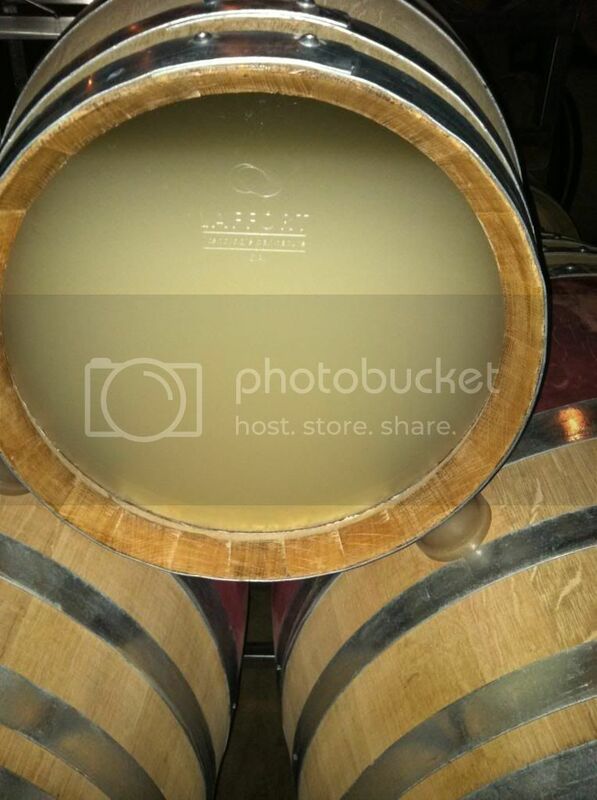 Are you interested in seeing what it looks like inside a barrel after adding a LAFFORT OENOSTERYL SO2 tablet? What happens inside a barrel? LAFFORT USA will soon release a video showing how the OENOSTERYL SO2 tablets dissolve in a barrel - stay tuned, it's very interesting to watch! Day 1 Day 3 Day 7 Ready for filming! For any questions on our OENOSTERYL SO2 tabs, please contact us! Are you about to bottle and missing that final touch? Meet our Quertanin Range, stave wood-quality ellagic tannins, extracted from oak heartwood, using LAFFORT's instant dissolving form (IDP). Quertanin, Quertanin Sweet and Quertanin Intense are various preparation of oak extract from stave wood quality French oak and Querplusis an oak extract from stave wood quality American oak. Call for a sample and for local Napa Valley winemakers, feel free to stop by the store in St Helena with your wine for an immediate bench trial! The end of a busy month and on to new projects! April was very busy for the whole Laffort team with the 'Rendez-vous' accross California for the last two weeks. Thank you to all of you who attended and made our five locations a success. We'll have all the technical presentations available on our website soon and check out the photos on our facebook page! We still have a few months before the craziness of harvest starts and many projects ahead of us: Stay tuned! Please fee free to contact us if you have any questions or would like product samples! LAST CHANCE TO JOIN US FOR OUR ANNUAL 'RENDEZ-VOUS'! and if you want to attend talks from recognized Academic & Industry Experts? Then, the 2013 RENDEZ-VOUS WITH LAFFORT is what you are looking for and it's coming your way! All events will be from 8.30 to noon and include breakfast and lunch and a special wine drawing! It's time for the RENDEZ-VOUS WITH LAFFORT! Want to hear about the most advanced oenological products from Laffort? Want to participate in interactive wine tastings? Want to attend talks from recognized Academic & Industry Experts? Refresh your white wines just before bottling! 2013 sounds very promising for Laffort USA with the welcoming of Adam LaZarre as the technical representative for the Central Coast area. As Laffort is growing, the need for more local resources has led to adding a 4th representative in California. Adam has been in the wine industry nearly 20 years producing wines for California, as well as in Spain and Chile. After graduating from Fresno State’s Enology program, Adam fell in love and relocated to the Central Coast where he produced wines for several big brands including Elliston Vineyards and Constellation Wine Company. Adam was also part of the team who made Cycles Gladiator and Rex Goliath successful stories. Adam is thrilled to be part of the Laffort USA team and is eager to become the technical resource for all Central Coast winemakers. Please feel free to contact him by email at adam.lazarre@laffort.com or byphone at (805) 234-8446. 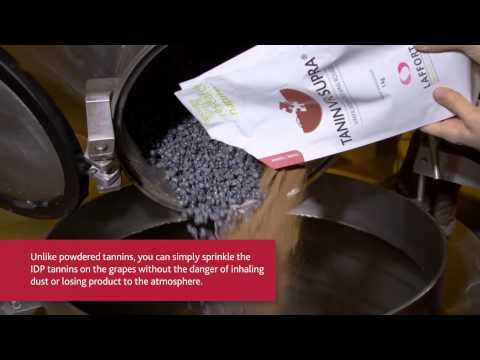 How to make a SAFE, QUICK and EFFICIENT SO2 addition to your wine? OENOSTERYL SO2 tablets are very popular because they are precise, odourless and dissolve within a few minutes with a homogenous repartition of the SO2 in the wine. There is no need to stir the barrel after adding the tablets, therefore avoiding oxidation. A 2g tablet adds 8ppm of total SO2. A 5g tablet adds 22ppm of total SO2. Efficient and predictabe tartrate stabilization, while saving time & energy AND preserving the quality of your wines! Not all CMC products for tartrate stability are the same when it comes to efficacy, organoleptic neutrality, purity and process application considerations including viscosity and filterability. With CELSTAB® the energy cost savings can be as high as 80% compared to chill stabilization, which does not include extra water, labor and logistical time savings. Your cellar crew will be grateful to you, not to have to remove tartrate from your tanks anymore! The non-subtractive, non-chilling methods also contribute to the overall respect of the wine, preserving the freshness, aroma and flavors of the wine. Fining with BIOLEES - overview of what, why, when and how! What is BIOLEES? A specific preparation of yeast hulls with a high sapid peptide content for eliminating specific polyphenols responsible for bitterness and astringency. BIOLEES is OMRI listed for use in organic wines. When to use BIOLEES? During tank or barrel fermentations. BIOLEES needs 4-6 weeks to settle properly before racking. How to use BIOLEES? Very easy: rehydrate it in 5 to 10 times its volume in water. After incorporation, a pump over in tank or a “batonnage” in barrel is required for good homogenization. How to handle a stuck fermentation? 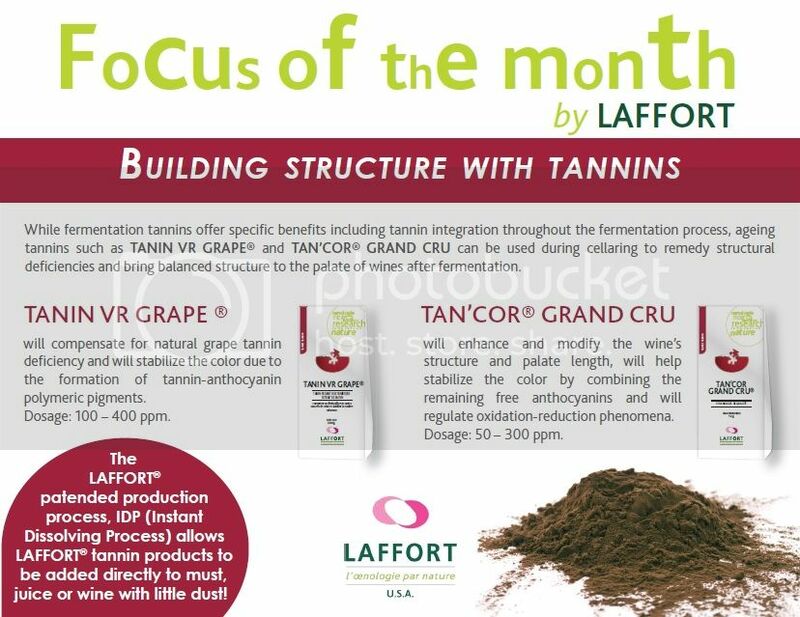 There are several causes to stuck fermentations but whether it is nutrient deficiency, excessive must/juice sugar or toxins, Laffort has developed specific tools and a restart protocol that has proved to be particularly effective. the yeast hulls and yeast physical supportprovided in the form of cellulose which keeps the restart culture suspended and improves fermentation kinetics. In many cases, adding BIAOCTIV as soon as the fermentation slows down has proven to be sufficient to complete fermentation. Please give us a call if you have any questions about our restart protocol! Careful management of the yeasts nutritional requirements during alcoholic fermentation is essential to ensure a healthy and complete fermentation, and a successful malo-lactic fermentation. Nitrogen, minerals, trace elements and vitamins are all essential compounds that contribute to the yeast viability. The available nitrogen mainly consists of organic nitrogen(amino acids) and mineral nitrogen(ammonium salts). The quantity and quality of these crucial compounds play an essential role on yeast metabolism and fermentation kinetics. Combining growth and survival factors and promoting yeast multiplication, NUTRISTART® is an all-around activator composed of ammonium salts, thiamine and inert yeast. Naturally rich in organic nitrogen and vitamins, NUTRISTART® ORGANIQ will ensure regular and complete alcoholic fermentation in situations of moderate nitrogen deficiencies. It is important to feed the yeasts with not only DAP or mineral nitrogen (fast assimilation, like sugar for humans) but also with organic nitrogen, which provides a more balanced and healthy nutrition (slower assimilation, like carbohydrates). Combining ammonium salts and thiamine, THIAZOTE® PH ensures yeast viability and a decrease in acid content. Although it doesn’t provide assimilable nitrogen, a yeast enhancer such as DYNASTART®will improve the general metabolism of the yeast and decrease the production of undesired sulfur compounds. Recent research shows that DYNASTART® significantly improves the nitrogen uptake metabolism, helping the yeast to better assimilate available nutrition and lower its stress level, leading to less VA and H2S production. Several technical articles & booklets on nutrient requirements are available on our website: www.laffortusa.com or call us to get more information. It consists of inoculating bacteria into the must during alcoholic fermentation, either at the start (‘early’ co-inoculation), or at the end of AF if the fermentation curve is clear-cut (‘late’ co-inoculation). First timer particularly like the late co-inoculation, combining the benefits (time and quality) with less risk of challenged AF. Besides the practical motivations that are the time saving, safety requirements in atypical situations and using the heat from fermentation, co-inoculation aims to promote malolactic bacterial implementation and dominate the microbic ecosystem throughout the vinification period. Co-inoculation ensures bacterial implantation and adaptation to the difficult wine conditions (alcohol, pH, etc. ); bacteria along with the yeasts dominate the ecosystem and therefore prevent any spoilage micro-organisms to develop (Brettanomyces, Pediococcus, etc.). Besides fermentation safety, the other main goals are time saving (the wine is still warm, bacteria already acclimatized, MLF will start early) and quality improvement (no oxidation during the lag phase between fermentations, fruity aromas are preserved), both leading to cost savings. It is essential to correctly manage your alcoholic fermentation. Any decline in yeast activity before completion of the primary fermentation can lead to serious alteration of the wine. 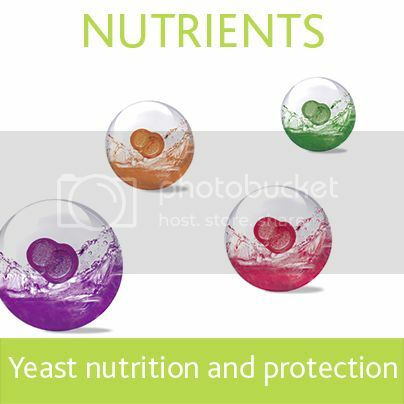 It is advised to select your yeast strain accordingly to the conditions and to provide it with all necessary elements to ensure its growth and survival (complex nutrition). Temperature is also extremely important for bacteria, more heat-sensitive than yeast, as well as oxygen management. Regular analytical testing is recommended throughout the co-inoculation process! ENZYMES, A KEY TO SUCCESS FOR THE 2012 VINTAGE! With larger volumes this year, the goal for this 2012 vintage will be to optimize the free-run juice quality and wine yields to rebuild quality wine inventory after two short vintages. 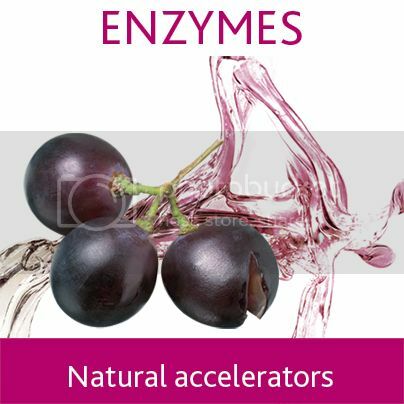 The enzymes, by accelerating the hydrolysis of some grape compounds and especially colloids clogging during pressing on some varietals, will help shorten the pressing cycles and/or decrease the pressure level on the grapes. In Reds, LAFASE® HE GRAND CRU allows an optimal extraction of phenolic compounds and increases the yields of wine and total volume of production. It also avoids having untouched berries in the press and therefore helps lower the residual sugar amount in press wine fractions. It helps build mouthfeel by extracting specific polysaccharides. Harvest is on ... Make sure you optimize your SB pressing operations! If you are looking for a way to improve your pressing operations of SB, LAFAZYM® PRESS is your solution! To optimizepressingby increasing free-run juice and total yields & by decreasing the length of time and the number of pressing cycles. To conservearomatic freshness and to enable a higher quantity of aromatic compounds to be extracted. To limitthe extraction of phenolic compounds. LAFAZYM PRESS® is to be used as early as possible before pressing, directly on the grapes after crushing or during press filling. LAFAZYM® PRESS decreases must turbidity and thus improves all subsequent operations (clarification, fermentation management, fining, filtration). LAFAZYM PRESS is available in 100g & 500g tins. Lactoenos PreAc®, Instant or Standard … which bacteria for which wine? The PreAc concept was developed exclusively by LAFFORT. Innovative and effective, it enables enhancement of the strain’s activity by reinforcing its resistance capacity during the production phase. The bacterial preparation is acclimatized firstly during industrial production, then secondly in the cellar where it undergoes a final rapid acclimatization phase (12h), in the presence of required nutrients (free with the purchase of the bacteria dose). Combining easy protocol and robustness of the strains, the PreAc offers efficiency and reliability at an affordable price. The Instant bacteria are the easy way to go: combining ease of use (simple rehydration in water) and strain efficiency. Also available in barrel dose, the Instant is very convenient. LACTOENOS 350 PREAC®: Pre-acclimatized Oenococcus oeni strain selected for its resistance to low pH. Its genetic qualities render it capable of initiating malolactic fermentation in acidic wines, especially white wines, despite the presence of other restrictive parameters (alcohol, temperature …). LACTOENOS 450 PREAC®: Pre-acclimatized Oenococcus oeni strain specifically selected for red wines with high alcohol content. It is particularly suitable for late co-inoculation, allowing the medium to be monopolized (in relation to spoilage micro-organisms) for MLF initiation at the end of fermentation. LACTOENOS SB3® INSTANT: The Oenococcus oeni direct inoculation strain. This bacteria is reactivated in non-chlorinated water at 20°C/68F in 15 minutes before transfer to the tank. With regards to good AF management and correct yeast nutrition, Lactoenos SB3 can be inoculated at the start of AF (early co-inoculation) and ensures rapid MLF after AF. LACTOENOS®B16 STANDARD:Oenococcus oenistrain using standard starter preparation, adapted to the most difficult conditions (even stuck MLF). Not acclimatized during production, the bacterial adaptation to the wine conditions requires a precise protocol. Contact us today to request more information or to place your order! The team at Laffort USA is excited to announce the opening of a retail space in downtown St Helena starting August 13th2012 at 8.30am. We will be located at 1309 Main Street, Suite C (just across from Hotel St Helena). Our full range of products will be available, and we’ll be happy to assist you with technical information and support. Darren has spent more than a decade in the wine industry, first as a wine chemist at Trinchero Family Estates then as central coast manager of Vinquiry, and finally the Director of Enology at Terravant Wine Company. He joins Laffort with a healthy background in enology and enological consultation and is excited to return to the northern California wine industry and its great wines. He can be reached at darren.michaels@laffort.com or at (707) 260-5890. Looking for more mouthfeel? Think outside the box! Mouthfeel is king... You think so too? Mouthfeel is actually one of my favorite topics to discuss (after tartaric stabilization), there are so many tools available! Of course, there are the 'classic' fermentation tanninslike VR Supra, preserving the skin tannin and thus helping for a softer wine, or aging tanninslike Tan'Cor Grand Cruor Biotan, that will help fill a gap and add length to a weaker wine. But think of enzymes, they are not only helpful for extraction, or free run wine yield increase, but an enzyme like Lafase HE Grand Cruwill start breaking down the polysaccharides and provide a richer mouthfeel (source: Laffort PhD at INRA, Montpellier, contact us for more data). One of the tools we rarely think of for mouthfeel is yeasts: Saccharomyces cerevisiae strains have an impact producing glycerol (Zymaflore F15strain for instance) or polysaccharides (Zymaflore FX10or VL2) and now, non-Saccharomyces offer us a new realm of possibilities in aroma and mouthfeel. Laffort has been working on Torulaspora delbrueckii a lot lately, with the largest collection of strains gathered during 2 PhDs at the University of Bordeaux. Torulaspora (TD) is one of the few non-Saccharomyces species of yeasts that do not have negative side effects and have a very good compatibility with Saccharomyces (SC). It is a very different organism with half the number of chromosoms for instance. The difference is the membrane composition is such that the TD will react very differently to osmotic stress and a high Brix environment (late harvest, dessert wine, or just the last grapes picked) and will produce as little as half the VA a Saccharomyces would produce in a similar condition. All the strains among the TD species are different, just like all Saccharomyces are, in terms of fermentation performances, aroma production, and mouthfeel. 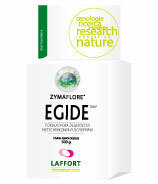 The one that Laffort selected, Zymaflore Alpha TD, shows a higher resistance to SO2 and a good fermentation kinetics. It can actually ferment through 7-9% alcohol, even higher at lower temperature (a winemaker last year actually forgot to add the SC and it almost went dry!). Alpha TD enhances varietal and fermentation aromas, but most of all, it gives a beautiful mouthfeel. It is used on all grape varieties, white or red, and with any SC strain: whether you want to use a neutral, strong fermentor (bayanus or prise de mousse type of yeast) to finish the ferment, or a designer yeast to amplify the aromatic complexity, there is a new world a possible combinations for you to play with! The timing of inoculation is also extremely important: the later the SC is added, the more effect from TD you will get (aroma and mouthfeel wise), but make sure the SC will have a successful implantation in the must. What’s the secret to a strong fermentation? Using DYNASTART® will decrease the risk of stuck or sluggish fermentations. Yeast gene regulation in the nitrogen uptake metabolism is modified when rehydrating with Dynastart. The gene optimizes the use of nitrogen, and needs less DAP addition to complete the fermentation. Adding DYNASTART®will provide the essential elements (sterols) of the yeast membrane. New results have shown that Dynastart has a higher content in ergosterols, that guarantee membrane fluidity and its resistance to alcohol will help protect the yeast. Last but not least,DYNASTART®is OMRI Listed for use in organic wines! Call us to find out more about this recent study and we’ll be happy to answer any questions you have! DID YOU KNOW?The reduction in Brettanomyces population is even greater when the wine is previously treated with enzymes right after press. Try EXTRALYSE®, our purified and concentrated pectinase-based enzyme preparation. * Important to mention that this natural product is GMO-free and contains no added preservatives. Can be used on white, red or rosé juices from the alcoholic fermentation to ageing. Improves the action of fining agents. Your 2011 Red wines need a little pick me up? Last harvest most of us were unfortunately focused on Botrytis and its immediate laccase oxidative threat (actually Botrytis is still upon us with its second effect on filterability and glucans in the wines, but we may realize that in a short while…). We know the grape quality wasn’t the best in 2011, and it shows in the structure of red wines now that we are looking back and tasting during aging. Some of them may need some help in building body, mid-palate, length… or all of the above! NOW is the right time to look at aging tannins: they will need a few months to fully integrate into the wine, even though you can make up your mind in a bench trial after a few days. BIOTAN® is our popular grape tannin and helps build overall structure, and TAN’COR GRAND CRU® is grape and oak based and improves mid-palate and length. Both are most refined tannins that integrate very well into the wine. Call us for samples today! Exciting news from Laffort USA! CeLstab® CMC (CarboxyMethyl-Cellulose) tartrate stability product is now approved for continual use by TTB. Laffort, the worldwide leader in next-generation Tartrate Stability product development, can now offer two non-subtractive tartrate stability products under TTB continual use approval, CeLstab® CMC for white and rose wine stabilization and MannOstab® OMRI™ listed Organic Mannoproteins for red and white wine stabilization. Laffort has conducted research on these Tartrate Stability products since 1991 and has won Global Awards for their introduction around the world including the Gold Innovation Trophy at Vinitech 2006. For the past 20 years, Laffort has been the leader in the potassium tartrate stabilization research and holds a patent since 1994. The company has a major background of both productions and implementation of the whole range of tartrate stability products. WE ARE NOW PROUD TO OFFER THESE SAME WORLDWIDE PROVEN PRODUCTS TO THE US MARKET. Laffort offers these state of the art cutting edge products as well as the technical knowledge to assist in integrating these ground breaking labor, resource and cost saving technologies into your existing practices. In need of a solution to extend the life of your barrels? Let Laffort provide you with a solution by introducing the NOBILE® Barrel Refresh range! A system of oak inserts for barrels specially designed to extend the life of oak barrels and to enhance wood notes in wine. To accommodate your desired aromatic profile, Laffort has developed two Barrel Refresh: Sensationand Révélation. - The NOBILE® Barrel Refresh Sensation favors roundness and vanilla notes. Use the Sensation to increase sweetness and toasty notes. - The NOBILE® Barrel Refresh Révélation supports structure and develops aromatic complexity. Use the Révélation to mimic a traditional barrel ageing. Why choose the NOBILE® Barrel Refresh range? - Monitor the oak contribution by tasting; Barrel Refresh can be removed at any time! the Cribari Winery. His main focus was on generic wines and brandy production. grapes to selling wine on the streets. some of the best winemakers and viticulturists in the business. to be a great winemaker. Interested in saving time and money with SO2 additions? LAFFORT USA is proud to offer customers easy to use and self dissolving SO2 tablets. Thanks to the effervescence, the tablets dissolve rapidly and you don't need to stirr the barrel to ensure homogenization, hence helping you avoid oxidation. LAFFORT Oenosteryl tablets make it easy to monitor the free and active SO2 in wine and prevent oxidation and microbial development. Keeping an active SO2 of at least 0.4 is important during aging, especially when temperatures are mild or pH are high. 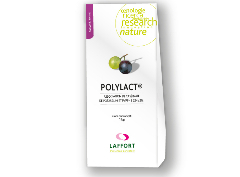 LAFFORT Oenosteryl are available in 2g & 5g tablets, both available in boxes of 48 tablets. Ask us for more details! regular SO2 additions easier, faster and safer for the cellar team. Simply put, they help us save time and money." - Significantly improve the tasting characteristics of the wine (astringency index decreased by up to 35%). The fining results are optimized when using Polymust in conjunction with a beta-glucanase enzyme, Extralyse. Are you a technical Winemaker in California, and want a new challenge for your career? Created in Bordeaux in 1895, LAFFORT has played a fundamental role in the developments in œnology that followed Pasteur and his initial discoveries. LAFFORT's scientific developments have allowed the company to progress from a curative form of œnology, based essentially on pure chemistry, to a preventative form, founded on biotechnologies. Are you prepared for Botrytis? VR Supra and Galalcool are flying off the shelf! Are you fully stocked to face the Botrytis that we see everywhere? Tannins are the best answer to deactivate laccase activity coming from Botrytis. Juice fining with synergestic PVPP/casein blends like Polylact or Polymust will help reducing the polyphenol content of the juice more effeciently than if it is done in the wine, with no aromatic effect! Call us for more details on Botrytis protocol, juice fining results or green character protocol. Another hit this year is our new Torulaspora yeast TD Alpha: reliable, easy to use with your own Saccharomyces, winemakers love the mouthfeel and the aromatics it brings! See the article in PWV last issue or ask us a copy! SONOMA — The U.S. distributor of one of the world’s largest winemaking supply companies is expanding to Petaluma. Laffort USA leased 6,333 square feet at 1460 Cader Lane, Suite C, in Petaluma. Sonoma-based Laffort USA will be getting a much larger office, allowing the 10-person operation to have more office space and closer proximity to a highway for salespeople to reach customers in the North Coast and Central Coast. The company started the move early this month. Laffort USA is a subsidiary of Laffort SA, which started in the Bordeaux region of France in 1898. The company has a line of 140 products spanning the range of winemaking, from handling of grapes when they arrive at the winery to putting the wine in the bottle. The products include Zymaflore and Actiflore yeasts, yeast bioproducts, enzymes, lactic acid bacteria, nutrients, tannin control, fining, stabilization, sparkling wine production, filtration, culture media, and, starting in May, Nobile barrel alternatives chips, staves and Barrel Refresh. Laffort also provides analytical services through subsidiary Societe d’Application de Recherche de Conseil en Oenologie (SARCO). Laffort USA took over distribution last year. Products also are distributed through a partnership with St. Helena-based Napa Valley Think Tank, which provides a close source of supplies for Napa Valley. SARCO made a minority investment in Napa Valley Think Tank in April. That allowed the company, started last August, to bring a new line of wine-quality testing services to market more quickly. SARCO has its own line of fermentation analytics products. U.S. distributors of SARCO products include Napa Fermentation Supplies. “During harvest, winemakers may run out of yeast or enzymes if they get more grapes than anticipated,” Ms. Gourraud said. The company also provides seminars, articles and other training throughout the year. Laffort USA has reached a stable size and likely will hire just one more in sales, she said. The company prefers to hire consulting winemakers as salespeople. The distributor received certification in March under the Bay Area Green Business Certification Program, the first winemaking products supplier to get the accolade. Sara Wann of Keegan & Coppin represented Laffort USA in the Petaluma lease deal, and Tony Sarno of Keegan & Coppin represented the property owner. For more information, call 707-343-1632 or visit www.laffort.com. Dr. Salamone brings a broad background in molecular bioscience including microbiology, enzymology, genetics and chemical analysis plus 8 years’ experience in the wine industry to Laffort USA. Peter received his Ph.D. from Washington State University and the prestigious Institute for Biological Chemistry in the field of Genetics and Cell Biology while participating in the interdisciplinary NIH Protein Biotechnology Training Program. Sonoma, CA May 21, 2011. Laffort USA announced that Peter Salamone, Ph.D. has been named Technical Manager-North America. Peter will provide technical support for its clients and Sales/Marketing team as well as support product development, application trials and educative seminars. Charlotte Gourraud is “pleased to bring Peter on board. 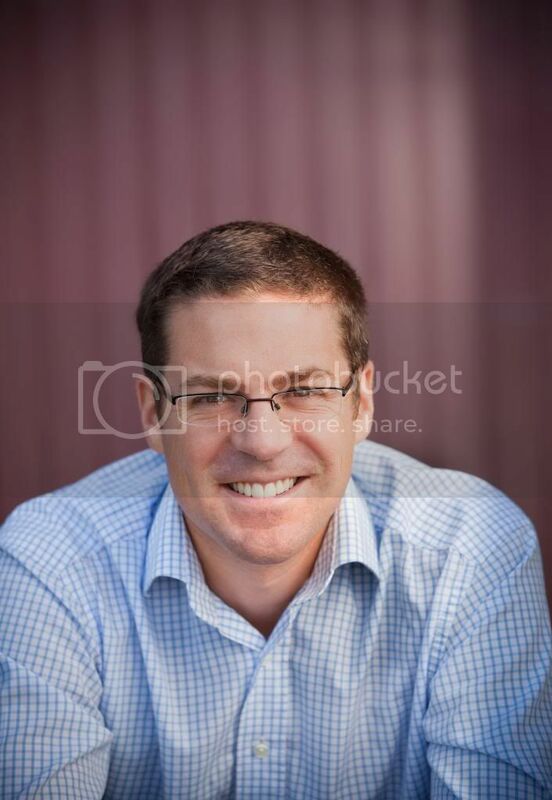 He has an exceptional technical background and a solid experience in the wine industry. Peter is a valuable asset to the company and is a necessary resource to answer our customer’s needs in terms of technical assistance. Laffort is a leader in the winemaking products industry by its innovations and quality of products; our customers deserve the highest level of technical support and education from us”. Peter has broad experience in the wine industry both in production settings with E&J Gallo Winery and Diageo Chateau & Estate Wines as well as industry service experience with Gusmer Enterprises and Valley Research. Coupled with his diverse production winery exposure Peter’s depth of experience in molecular biosciences including microbiology, enzymology and genetics will provide Laffort USA clients with an outstanding technical resource as its business expands and grows in the North American market. 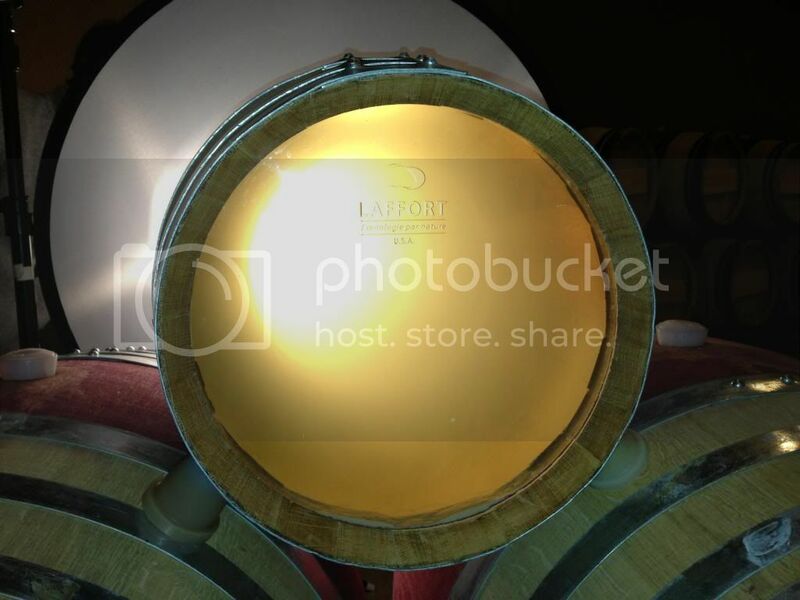 Laffort is a fourth generation family owned business founded in 1895 with a history of research and discovery in oenology dating back to Pasteur’s seminal works. The Laffort group is proud to dedicate the largest budget among private companies to Research and Development. As a result of this extensive research, Laffort holds many patents and regularly launches innovative products and processes for the wine industry. Laffort holds HACCP and ISO certifications and Laffort USA is the first winemaking products supplier in the US to achieve Green Business Certification. LAFFORT USA is a Green Business! LAFFORT USA is the first winemaking products supplier to be certified Green Business by the Bay Area Green Business Program. "We believe a successful business is dependant upon a healthy environment. We are actively working to show our environmental responsibility to our community by committing to the following objectives: to comply with all applicable environmental regulations and strive to exceed compliance, to conserve energy, water, and other natural resources, to develop and implement practices that prevent pollution and waste, to be an environmentally responsible business within our community." LAFFORT products chosen to be at the SF MOMA Wine Exhibition! "How wine became modern" Exhibition features wineries modern architecture, eye-catching wine labels, a large picture of the Judgement of Paris, and LAFFORT products! Thumbs up especially to the permanent wine tasting and the soil display of the most famous terroir in the world. Need to know how to deal with Botrytis, Laccase, or a "Green Character"
Laffort USA, worldwide suppliers of enology products and experts in the field, provide several new technical booklets & industry protocols that provide winemaking education. View our"Resources" tab for more information, and feel free to contact us for more information! To complete its range of specific nutrients and to respond to market trends that tend towards more natural inputs derived from grape or wine constituents, LAFFORT has developed Nutristart® OrganiQ, a complete and complex nutrient for alcoholic fermentation in wine. organic nitrogen with the advantage of being progressively assimilated by the yeast. Thanks to this specific composition that reproduces the natural nitrogen form found in the must, Nutristart® OrganiQ ensures the yeasts improved nutritional balance and more regular fermentation kinetics, and on top of this, produces wines with aromatic delicacy clarity. Nutristart® OrganiQ is in the process of obtaining OMRI certification (Organic Materials Review Institute USA). 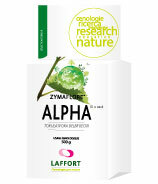 For your next harvests, LAFFORT offers Zymaflore AlphaTD n.sacch, a non-Saccharomyces yeast from the Torulaspora delbrueckii species: genuine expression of yeast biodiversity. Torulaspora delbrueckii, a species initially present in natural bloom flora, is a non-Saccharomyces yeast with no organoleptic defects, helping, in association with a S. cerevisiae,to restore yeast complexity during pre-fermentation and fermentation phases, producing richer wines from a sensorial perspective and ensuring fermentation safety. However, a large number of different strains of this species exist. Our research work has led us to select AlphaTD n.sacch, a strain with particularly interesting fermentation andorganoleptic qualities: very low volatile acidity production, pronounced aromatic diversity and intensity and a clear impact on volume and length on the palate. 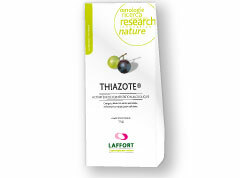 Zymaflore AlphaTD n.sacch is consequently a key element for elaborating white, red or rosé wine with a high level of organoleptic complexity (aromatic and texture on the palate). How to increase aromatics and mouthfeel in wine? How to take advantage of bio-diversity of yeasts? How about Torulaspora delbrueckii! Learn more! How to deal with a stuck ferment? Follow carefully these steps!